Keywords: social insects, ants, evolution, altruism, division of labor, castes, genetics, epigenetics, genomics, sociogenomics, physiology. Our group investigates the organization and evolution of social life in insect societies. In this perspective, we use different approaches to study the genetic, genomic, epigenetic, behavioral and physiological mechanisms involved in the regulation of reproduction, behavior and nutrition in several species of ants. Below are some of the issues we tackle in our group. If you have any questions regarding our research, and/or if you are interested in doing a bachelor, master, PhD or postdoc project in our group, do not hesitate to contact me. In social insect colonies, one or several fertile queens monopolize reproduction while sterile workers perform all the tasks necessary to maintain the colony. Our group is interested in understanding both the proximate and ultimate mechanisms behind such reproductive division of labor. Proximate questions include: What makes a female egg develop into a queen or a worker? When does such caste determination occur? What is the nature of the genetic components to caste determination? 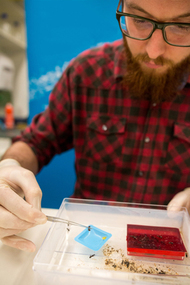 What are the physiological mechanisms regulating the development of a queen or a worker? Ultimate questions include: How did reproductive division of labor evolve? What can explain the emergence and maintenance of reproductive altruism in insects? 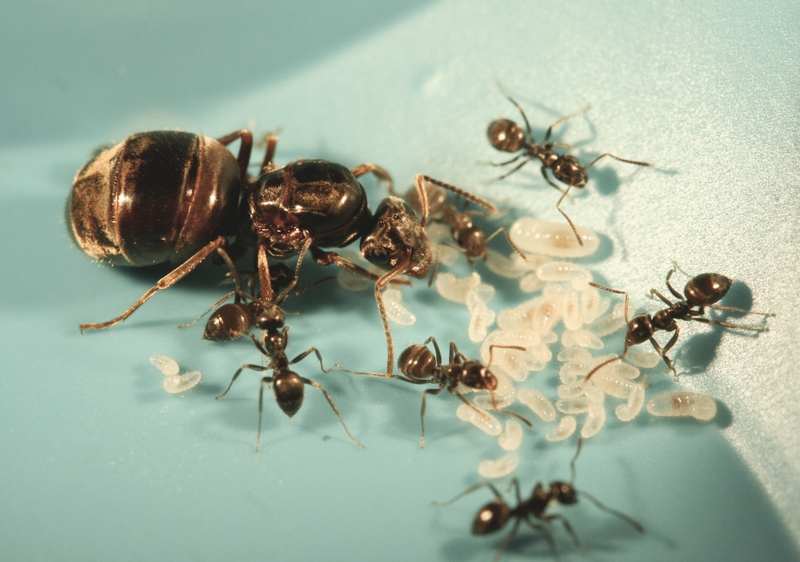 What can explain the maintenance of multiple-queen colonies in some ant species? In social insect colonies, there is a behavioral division of labor among workers, with different groups of workers performing different tasks. Our group is interested in understanding the mechanisms regulating worker behavior. The questions we focus on include: What are the factors affecting worker behavior? How does the social environment affect worker behavior? Are there genetic and epigenetic effects on worker behavior? What are the physiological mechanisms regulating behavioral division of labor? Do reproductive pathways affect worker behavior? 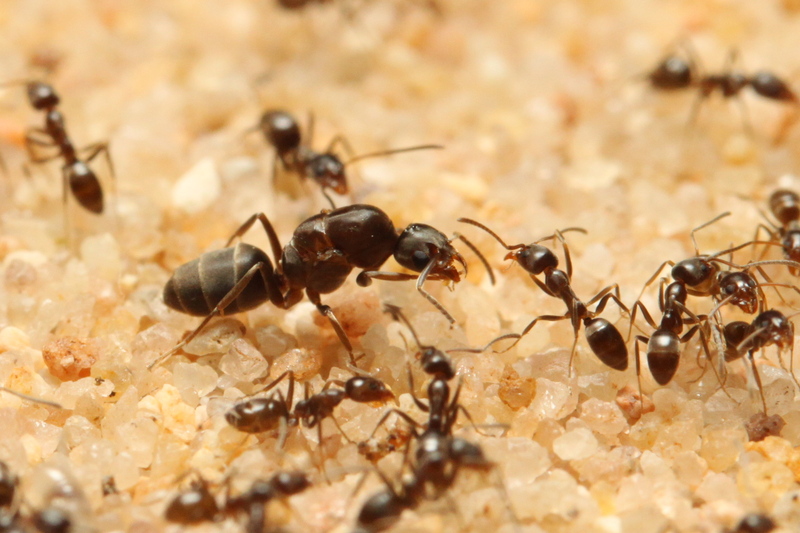 How does the brood affect worker behavior? In social insect colonies, hunger and food consumption usually take place in different individuals. Our group is interested in understanding how nutrition is regulated in this context. The questions we focus on include: How is the hunger signal transmitted and received? 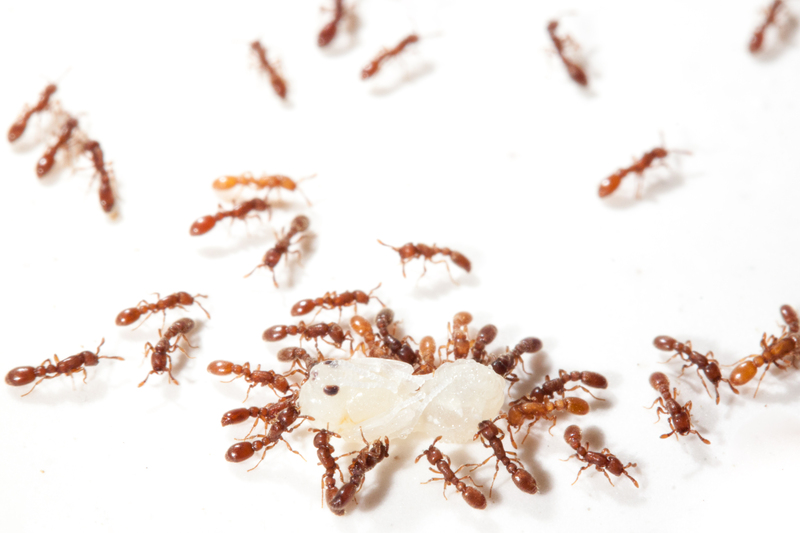 What are the physiological pathways regulating nutrition in social insects? How did the decoupling of nutrition evolve?